Courtesy of American Memory (Library of Congress). In this lesson of the curriculum unit, students reconsider the events leading to U.S. entry into World War I through the lens of archival documents. Review the dates in the following chronology, based on the World War I Chronology on The Gilder Lehrman Institute of American History, a link from the EDSITEment-reviewed website History Matters. Unless otherwise indicated, all documents are available on the EDSITEment resource Great War Primary Documents Archive or on links from this resource. Some noteworthy excerpts are included below as a preview to certain documents. Assign students to groups. Using the resources below, as well as any other appropriate sources available, student groups will create a documentary slideshow of the U.S. entry into World War I. Part of the challenge is to limit the show to the essentials. To be interesting, a slideshow needs engaging, concise text for a voiceover; informative graphics and captions; noteworthy images; and a cohesive “storyline” that builds on previous information. The links on the chronology below provide good source material for such a slideshow, though students are encouraged, when practical, to uncover any other relevant material through their own research and/or to create their own charts and talking points. Using the “Storyboard for World War I Slideshow” on page 3 of the PDF (see Preparation Instructions, in the curriculum unit overview, for download instructions), each group should plan a show of 10 to 15 slides. (NOTE: The teacher should feel free to change the number of slides allowed. In addition, feel free to change the mode of assignment by assigning groups specific years or topics, such as neutrality.) Given the potential amount of material, groups will have to be scrupulous in their choices. Audiences are engaged by story, so remind students to build a coherent beginning, middle, and end. Keep the hypotheses—or one particular hypothesis—about U.S. entry into the war in mind. Avoid duplication between the graphic, caption, and script. If practical, allow groups to complete the slideshow using available software. Otherwise, students could download and print the necessary documents to create a “hardcopy” slideshow. Morgan Company of New York have asked whether there would be any objection to their making a loan to the French Government and also the Rothschilds – I suppose that is intended for the French Government. The United States must be neutral in fact, as well as in name, during these days that are to try men's souls. We must be impartial in thought, as well as action, must put a curb upon our sentiments, as well as upon every transaction that might be construed as a preference of one party to the struggle before another. Since the beginning of the war this bank alone has received cabled instructions for the payment of in excess of $50,000,000 for American goods and the volume of this business is increasing. Owing to war conditions, this buying is necessarily for cash and it is of such magnitude that the cash credits of the European governments are being fast depleted. Lately we have been urged by manufacturers who are customers of the bank and, in some cases, by representatives of the foreign governments, to provide temporary credits for these purchases. 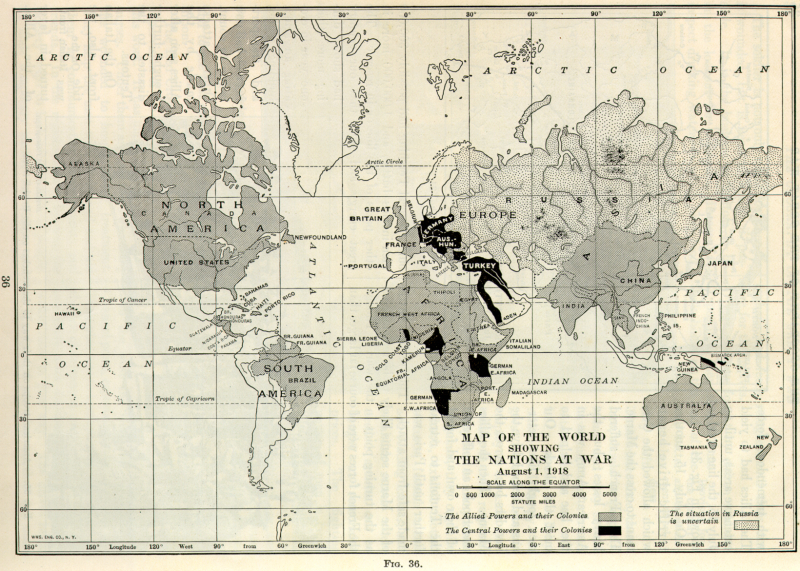 The present condition of American foreign trade resulting from the frequent seizures and detentions of American cargoes destined to neutral European ports has become so serious as to require a candid statement of the views of this Government in order that the British Government may be fully informed as to the attitude of the United States toward the policy which has been pursued by the British authorities during the present war. … It is stated for the information of the Imperial Government that representations have been made to his Britannic Majesty's Government in respect to the unwarranted use of the American flag for the protection of British ships. My opinion in this matter, compendiously stated, is that we should say that "Parties would take no action either for or against such a transaction," but that this should be orally conveyed, so far as we are concerned, and not put in writing. Public outrage over the loss of civilian life hastened the United States entry into World War I. Although the cargo list of the Lusitania stated that she carried approximately 170 tons of munitions and war material, this fact was not revealed to the U.S. public at the time. … we unsparingly denounce the retaliatory methods employed by her (Germany), without condemning the announced purpose of the Allies to starve the non-combatants of Germany and without complaining of the conduct of Great Britain in relying on passengers including men, women and children of the United States to give immunity to vessels carrying munitions of war without even suggesting that she should convoy passenger ships as carefully as she does ships carrying horses and gasoline. That which has driven the masses of Europe into the trenches and to the battlefields is not their inner longing for war; it must be traced to the cutthroat competition for military equipment, for more efficient armies, for larger warships, for more powerful cannon. You cannot build up a standing army and then throw it back into a box like tin soldiers. —Emma Goldman on From "Preparedness: The Road to Universal Slaughter"
January 27, 1916: Wilson launches nationwide whistle-stop campaign to generate support for Preparedness with three speeches in New York. February 3, 1916: Wilson delivers final speech of Preparedness campaign in St. Louis. Near the end of a nationwide speaking tour in February 1916, he (Wilson) not only called for creation of "the greatest navy in the world" but also urged widespread military training for civilians, lest some day the nation be faced with "putting raw levies of inexperienced men onto the modern field of battle." —World War I: The First Three Years. 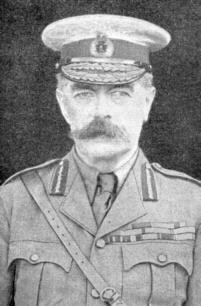 April 27, 1916: Marshal Lord Kitchener (photograph), British Secretary of State for War, asks for American military participation in Europe. June 3, 1916: National Defense Act authorizes five-year expansion of U.S. Army, but at the same time drastically limits size and authority of U.S. War Department General Staff. It … contained a severe restriction inserted by opponents of a strong General Staff, sharply limiting the number of officers who could be detailed to serve on the staff at the same time in or near Washington. The bill represented nevertheless the most comprehensive military legislation yet enacted by the U.S. Congress. The National Defense Act of 1916 authorized an increase in the peacetime strength of the Regular Army over a period of five years to 175,000 men and a wartime strength of close to 300,000. Bolstered by federal funds and federal-stipulated organization and standards of training, the National Guard was to be increased more than fourfold to a strength of over 400,000 and obligated to respond to the call of the President. The act also established both an Officers' and an Enlisted Reserve Corps and a Volunteer Army to be raised only in time of war. … A few months later the Congress demonstrated even greater interest in the industrial aspects of defense by creating a civilian Council of National Defense made up of leaders of industry and labor, supported by an advisory commission. July 30, 1916: Jersey City, N.J., munitions plant destroyed; German sabotage suspected. 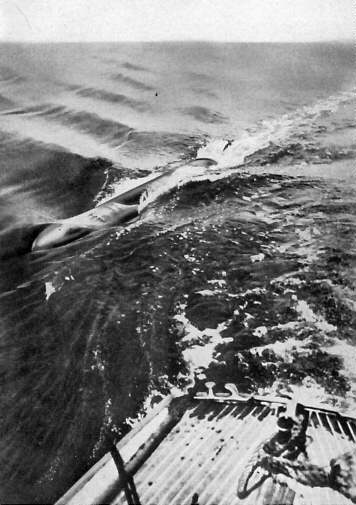 October 15, 1916: Germany resumes U-boat attacks under "search and destroy" rules. 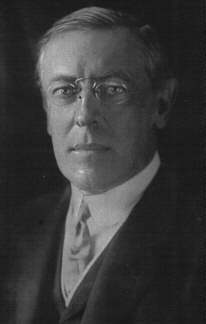 November 9, 1916: Woodrow Wilson (photograph) wins reelection under the slogan "He kept us out of war." In retrospect, it is apparent that the vote for Wilson cloaked profound cleavages in public opinion. At the time of his inauguration, immigrants constituted one third of the population. Allied and German propaganda revived old-world loyalties among "hyphenated" European- Americans, and opinions about US intervention were sharply polarized. More than 8 million German-Americans lived in this country, and many were sympathetic to the cause of their homeland. Meanwhile, anti-German feeling was strong among the upper classes on the Atlantic coast, and was particularly intense among those with social and business connections to Britain or France. December 12, 1916: Germans issue peace note suggesting compromise peace. January 22, 1917: Wilson addresses the Senate about Peace Without Victory (on the PBS website Woodrow Wilson, a link from the EDSITEment resource American Memory). Like an undertow, America's drift toward war was subtle and forceful. According to the outspoken pacifist Randolph Bourne, war sentiment spread gradually among various intellectual groups. "With the aid of Roosevelt," wrote Bourne, "the murmurs became a monotonous chant, and finally a chorus so mighty that to be out of it was at first to be disreputable, and finally almost obscene." Once the war was underway, dissent was practically impossible. "If you believed our going into this war was a mistake," wrote The Nation in a post-war editorial, "if you held, as President Wilson did early in 1917, that the ideal outcome would be 'peace without victory,' you were a traitor." 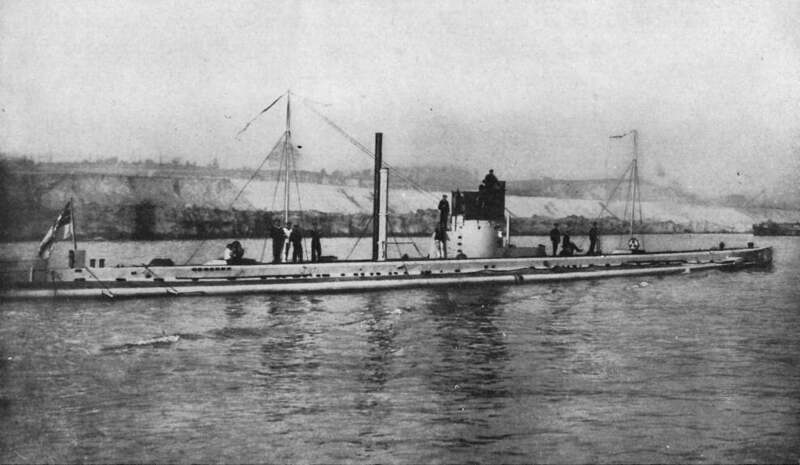 January 31, 1917: Germany officially breaks her promise and announces resumption of unrestricted U-boat warfare. February 3, 1917: U.S. severs relations with Germany. February 24, 1917: Great Britain releases Zimmermann Note to U.S.
Photostat of the Zimmerman Telegram, as received by the German Ambassador to Mexico, on the EDSITEment-reviewed website Digital Classroom. Image of telegram to Wilson with translation of Zimmerman Telegram, on Digital Classroom (Page 1, Page 2, Page 3, Page 4). … we propose an alliance on the following basis with Mexico: That we shall make war together and together make peace. We shall give general financial support, and it is understood that Mexico is to re-conquer the lost territory in New Mexico, Texas, and Arizona. February 26, 1917: Wilson requests authority from Congress to arm U.S. merchant ships. March 4, 1917: Second Inaugural Address of President Woodrow Wilson on First World War.com (see especially paragraphs 1–3 and 8–9). March 12, 1917: Wilson announces arming of merchant ships by executive order. March 21, 1917: Cartoon: President Calls Congress April 2 to act on Grave National Policy (on Digital Classroom). (1) In the newspaper industry. Give student groups the opportunity to share their slideshows with the class. Discuss the point of view each represents. As a class, revisit the handout “Why Did the United States Enter World War I?” on pages 1–2 of the Master PDF. Ask each student to write a paragraph taking a stand on a hypothesis explaining why the U.S. entered World War I.
American foreign policy continues to resonate with the issues involved in the entry of the United States into World War I—unilateralism versus foreign alliances, the responsibilities of power, the influence of the military-industrial complex on foreign policy, the use of force to accomplish idealistic goals. Understanding the choices the Wilson administration made and their consequences provides insight into international affairs in the years since the end of the Great War and beyond. In this lesson, students reconsider the events leading to U.S. entry into World War I through the lens of archival documents. What is the most compelling evidence explaining why the U.S. entered World War I? After completing the lessons in this unit, students will be able to: Take a stand on a hypothesis for U.S. entry into World War I, supported by specific evidence. After completing the lessons in this unit, students will be able to: List important events leading to U.S. involvement in World War I. Take a stand on a hypothesis for U.S. entry into World War I, supported by specific evidence. What important events led to U.S. involvement in World War I? What is the most compelling evidence explaining why the U.S. entered World War I?